It’s either temporary insanity or something is really going in the right direction. 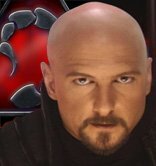 At first we got word that Command & Conquer would be available for free to all interested parties. Later on, Ubisoft revealed that three of its games have also signed up for the free ride. The download page is camped here. As for Ubisoft’s triad (Prince of Persia Sands of Time, Far Cry and Rayman Raving Rabbids), the company must’ve decided that giving away games packed with various ads was the best (or only) way to see them back into the spotlight. Let’s face it: the Prince is pretty old (it was originally launched back in 2003), and FarCry is not much younger either. Plus, the life of a FPS is a short one if your name is not Counter-Strike. The games are now available on FilePlanet. Be advised, though, that all of the are for US residents only and require a Ubisoft account. StarCraft 2 System Requirements. Unnoficial Version. Microsoft On FoF Feature: You’re Visible Whether You Like It Or Not! Want a Mature Game? Show Some ID!